Our Apologies for Usurpers! Vagabonds! Thieves! And Yes, Even Knock-Offs! You know how things disappear on the internet? This won’t. It’s all right here, but it was misguided – not just a bit, but entirely. Any proper retraction should be in context, and the following quote is all of it and unedited. The fact is, titles cannot be copyrighted and trademarks must fiercely (and expensively) defended, so nobody wins but the lawyers and the three or more divorcees they each support by court order. That said, no ill was wished upon anyone for the following. This was a rant prompted by a helpful minion pointing it out to me, that they feared someone was using our site title, MovieCrypt, maliciously and with ill intent. Someone else pointed out that no matter who says what, we were the original, and that is a fine point of distinction that no amount of threatened litigation, real or imaginary, can dispute. The following individuals cannot be proven as “Usurpers! Vagabonds! Thieves! 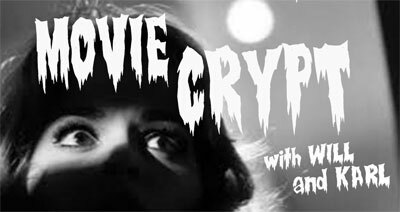 And Yes, Even Knock-Offs!” and MovieCrypt.com apologizes to anyone who took personal offense to our statements (although, seriously, we know people and you should let us help; the words “Movie Crypt” should always look their best). 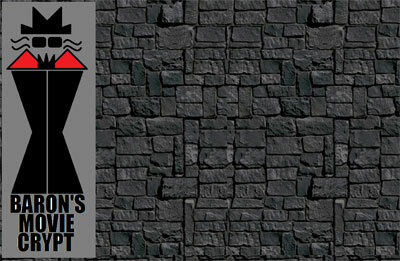 Just as we thought MovieCrypt was a cool name for our site in 1998, it’s up to us to shout it up from the catacombs and into every dark corner of the internet (except where the pedophiles hang out… ick). 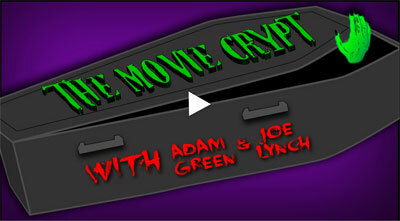 I’ve been doing reviews and providing deathly fun here on MovieCrypt.com for some time now, but in this blink-and-you’ll-miss-it online world, it seems there have been a few new upstarts laying claim to the words “Movie Crypt,” in that exact order and doing a very similar thing. Brand identity is important folks, and I’ve been here since 1998. To be fair, maybe they didn’t look… and then again maybe they should have. Here’s the first one I just found out about, on a new “beta” site called Geek Nation. It’s a podcast! And they have three whole episodes! I don’t wish ill on anyone (just doing my job, after all) but seriously? Okay, they could use some minions with some graphic arts skills, wouldn’t you say? Then there’s this, but it looks fairly abandoned (this happens more often than you’d think) from someone called Monster Head. Coming soon… perhaps never. I’m not even sure what this is even supposed to be. A bar? A movie? A podcast? At least the other guys have a clear indication of what it is they’re trying to accomplish. Now these guys I like! Clever little show, lots of episodes, doing their own thing. See that name “Baron” up there? That makes all the difference. Unfortunately, it looks as though Blip has cancelled their little dramedy… but they’re moving it to YouTube to carry on! Now THAT makes for a worthy opponent…! Looks like I’m just going to have to step this up a notch… and I have friends. “Legions” you might say. Wanna have some fun? Spread this around wherever you can, link it up with anyone who’ll post it. The all-new Crypt is finished, and it’s a 164 days before Halloween. So why are we telling you this? THIS is why.